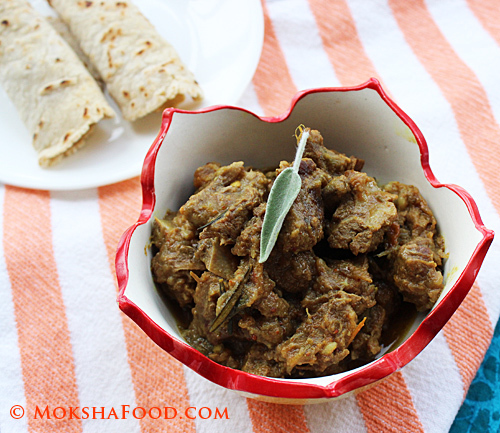 Fusion Recipe - Goat Curry with Sage and Cranberries! Goat meat is the leanest of all the red meats. I cook it at least once a week. 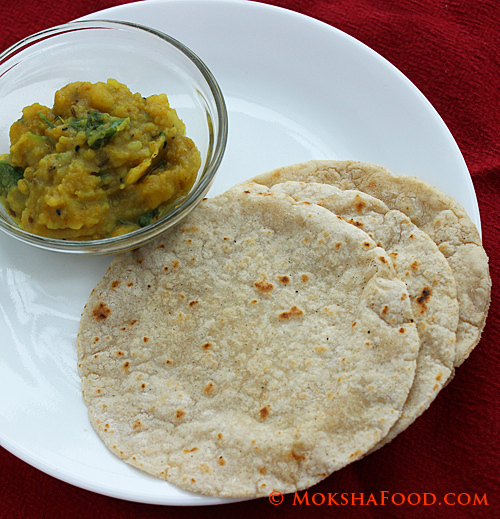 I was bored of the regular Indian recipes for curry and wanted to try something different. After hunting through the refrigerator i found a box of sage leaves and half a packet of fresh cranberries. 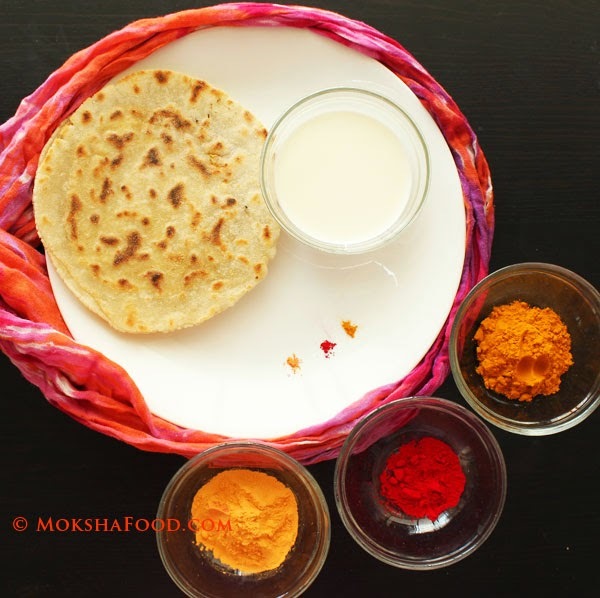 My initial thought was to browse through for some continental recipe but they are usually steak type recipes and my family wanted to enjoy curry with chapatis (Indian flat bread). So i followed Chef Michael Smith's way of instinctive cooking without recipes and just went with my gut feeling. I started my usual way of making curry by sauteing spices, onions, garlic, ginger and tomato. Then added meat, sage and cranberries. Flavored the curry with salt, little sugar and garam masala. End result was a delightful curry with a twist. We savored this fusion goat curry with sorghum chapatis. In a big saucepan or pressure cooker, heat oil to medium heat. Drop in the whole spices -cinnamon, cardamom, bay leaf, cloves and peppercorns. Saute them till they give out a nice aroma. Add in the sliced onions and saute till brown. Stir in the ginger, chilies and garlic and saute for few more mins. Chopped tomatoes go next and saute till they get mushy. Now add the meat piece and saute on high heat till they brown slightly. Throw in the sage and rosemary leaves and cranberries. 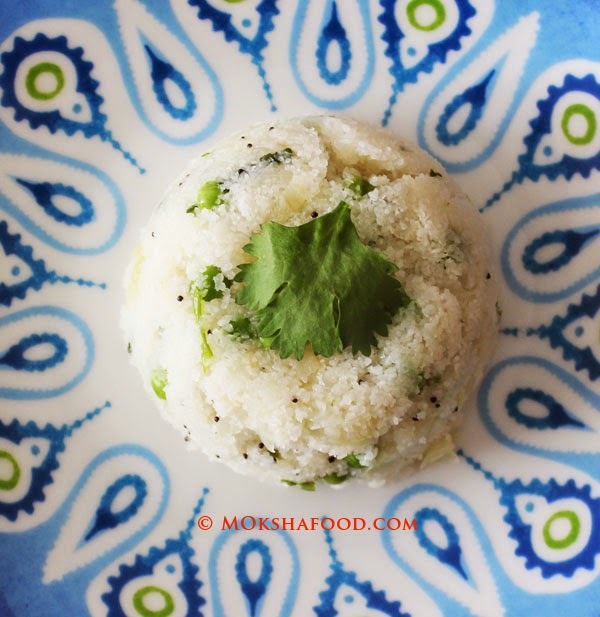 Flavor with salt, sugar and garam masala. Add in the water according to the amount of gravy desired. I wanted a semi dry curry so just added 3/4th cup water. You can add more or less according to your preference. If you are cooking the meat in a saucepan, you would have to add more water and cook for almost an hour till the meat is tender. I prefer to use the pressure cooker as it cooker the meat faster . Put on the lid and cook for just 15 mins. Open the pressure cooker after the steam dissipates. 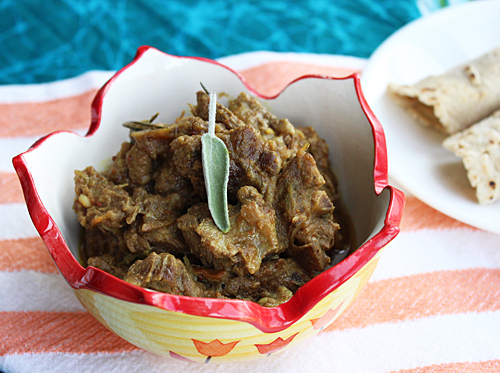 Serve goat curry with sage and cranberries with your favorite bread or rice.